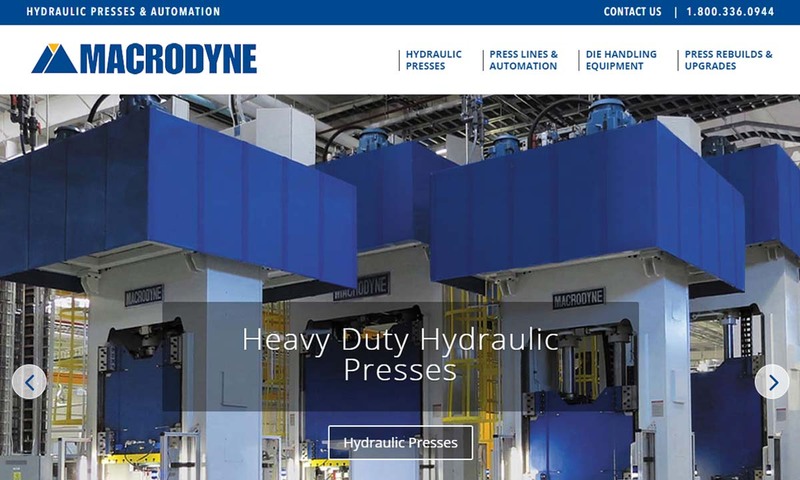 A reliable source for Hydraulic Press Manufacturers information and a resource for accessing leading Hydraulic Press Manufacturers and suppliers. A hydraulic press is a compression molding press that operates by exerting hydraulic pressure, or fluid pressure, via a cylinder on the object being pressed for a specific purpose. Manufacturers use hydraulic presses in order to stamp metal material into a wide range of finished products and parts. They can also use them to perform other forming processes, including: blanking, clinching, deep drawing, forging, molding, punching and shearing. Hydraulic Presses A hydraulic press is a compression molding press that operates by exerting hydraulic pressure, or fluid pressure, via a cylinder on the object being pressed for a specific purpose. The hydraulic press industry is competitive, but in a sea of competitors, we are among the best! We offer ISO 9000:2000 certification, and we work with customers to create the ideal designs for their unique circumstances. 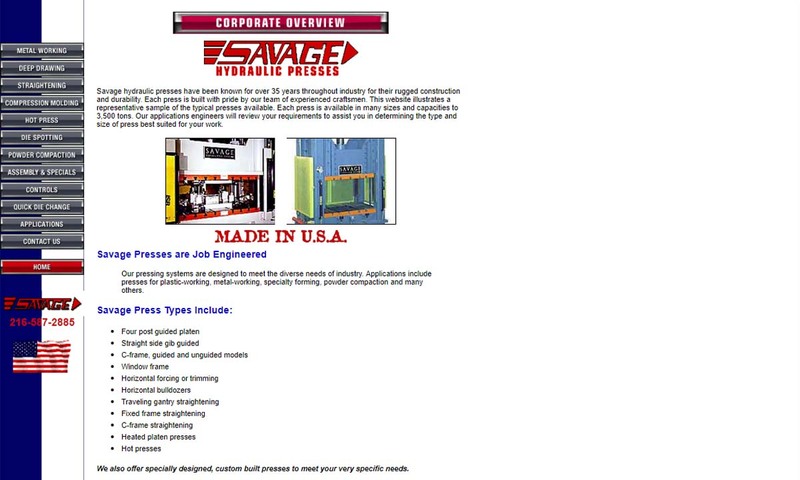 When it comes to the hydraulic press industry, you want nothing but the very best! We have over 50 years of experience in the industry manufacturing quality products for our customers. Our hydraulic press designs are one-of-a-kind. 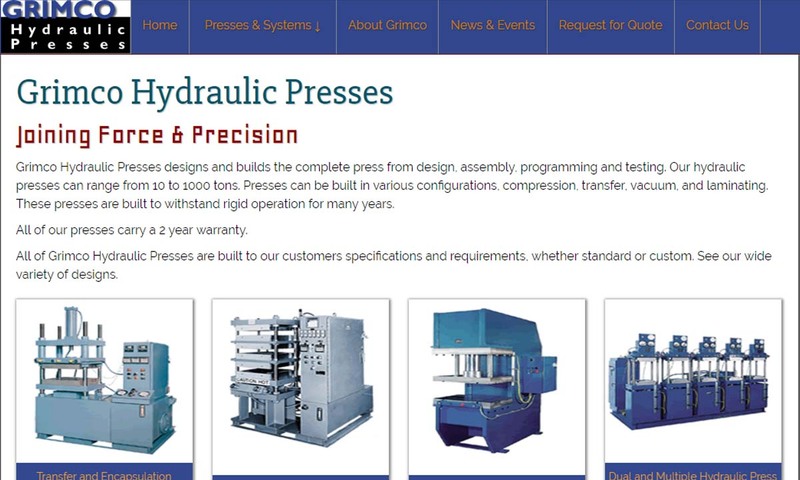 We work with our customers to determine the best hydraulic presses for their applications. Here at Savage Engineering & Sales, Inc. we take customer satisfaction very seriously. 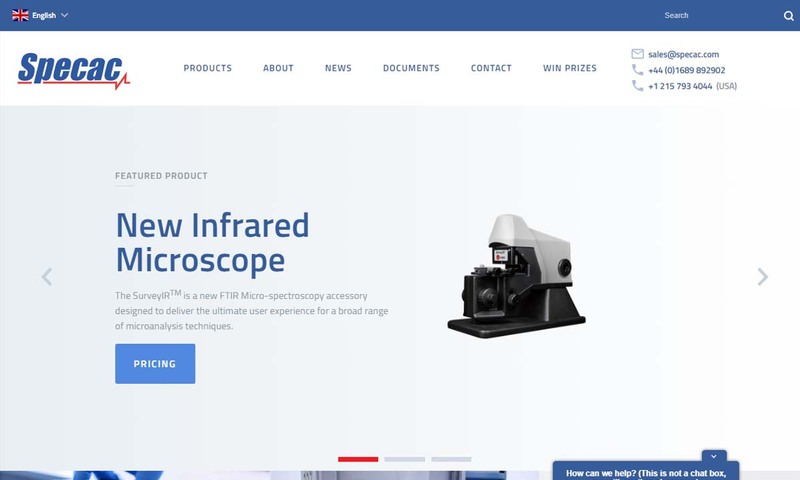 Our mission at Specac is to keep our customers happy and satisfied with the quality of our products. That is why we carry a large variety of press types, and have locations in both the US and UK to better serve you. You can count on Dake products, with a rich & reliable history going as far back as 1887. We manufacture a complete line of industrial strength machines such as arbor & hydraulic presses, drill presses, horizontal & vertical bandsaws, and more. Joseph Bramah invented the hydraulic press in 1795. Sometimes, it is called the Bramah press. Leading up to this invention, Bramah first invented the flush toilet, then began studying fluids. This lead to his study of Pascal’s law, also known as Pascal’s principle. This is a principle of fluid dynamics that states that when pressure changes anywhere in a confined space of fluid that cannot be compressed, that same pressure change will be transmitted throughout the whole space. Experimenting with this principle, Bramah put together a device featuring two cylinders, one large and one small, filled with liquid and connected with a pipe. He realized that if he put pressure on the top of the narrow cylinder, this pressure would transfer to the liquid in the larger cylinder. He and a colleague then figured out to put together a device featuring cylinders with matching pistons sealed with leather and self-tightening collars. This was the basis for the hydraulic press, which works using liquid pressure as force. The hydraulic press was a great innovation. Before its invention, the hydraulic engineering industry was virtually non-existent. During the 19th and 20th centuries, manufacturers and engineers used the hydraulic press to innovate in many areas, including most notably farming machinery and transportation. Today, hydraulic presses work using the same principle and basic components, but they are more varied than ever and frequently work in conjunction with CNC technology. First, hydraulic fluid is forced into a small double-acting cylinder by a hydraulic pump or a lever. There, the fluid encounters a sliding piston, which tries to compress the fluid. It instead shoves the fluid through the small cylinder into a larger cylinder, where the process repeats. This time, the compressive force forces the fluid back into the smaller cylinder. The fluid is passed back and forth between cylinders, causing pressure to build. Eventually, the pressure becomes too great that it reaches the anvil, baseplate or die. It presses the anvil, baseplate or die, deforming the material beneath it into the desired product shape. To make sure that the press does not overload the material, when it reaches its pressure threshold, the fluid activates a valve that activates pressure reversal. A C-frame hydraulic press is employed for metal forming, straightening, blanking, punching, drawing and riveting; operations which require force and precision. Because of their narrow shape, C-frame presses take up less floor space than many other models, making them convenient for small to mid-sized facilities. C-frame presses can be manually or automatically operated. Used for tasks or applications that require coining, crimping, bending, punching and trimming. The welded frame of an H-frame press makes it capable of performing many different operations. A laminating press makes it possible to apply film to many different materials or create encapsulating layers for electronic components. These presses are operated manually and compression takes place between two plates (one for heating and one for cooling). Similar to laminating presses, stamping presses are specialized machines used to shape or cut materials using deformation with a die. Stamping presses, or stamp presses, are very common in the automotive and metalworking industries. A transfer press stamps and molds material like plastic, rubber and metal. Flat plastic can be fed automatically into the end of the press where it is pulled from one die to the next by feed bar fingers. Vacuum presses are hydraulic presses specialized to seal materials and products using atmospheric pressure. Vacuum presses are used to apply film to a wide variety of materials. Also, they’re used to encapsulate items like ID cards and credit cards in plastic layers. Broadly speaking, platen presses feature a ram and a solid, stable working surface. Forging presses, also known as hydraulic forge presses, are used to shape metal only. In particular, they’re used to shape vehicle parts. Using either an open or closed mold, pressure, force and sometimes heat, they force metal blocks into shapes. During forge pressing, the metal stretches beyond its yield point, but does not crack or break. Hydraulic press brakes are typically constructed from two C-frames on the sides, a movable beam on top and a tool mounted a table below. Unlike non-hydraulic press brakes, this press brake features two synchronized hydraulic cylinders on the frames, which move the beam. If automated, this press is called a CNC press brake. Manufacturers use hydraulic press brakes to fold, bend and otherwise cold work sheet metal. A shop press, or hydraulic shop press, can repair, remove and set small parts like bearings, u-joints and bushings. It can also straighten bent parts. Shop presses work very well for automotive repair, especially in small garage businesses. A hydraulic press has all of the essential components of a basic hydraulic system. It has a set of cylinders, punches (or pistons), hydraulic pipes that move the fluid, and a die (or anvil). The pistons use liquid under pressure to push on the anvil with a high level of force. The hydraulic fluid is then forced into the cylinder when the pump is activated. There are two cylinders, and the fluid (either oil or water) is deposited into the smallest of the two. When the small piston is pushed, it compresses the fluid. This compressed fluid then flows through the pipe to the master cylinder. This pressure on the large master cylinder and its piston causes the flow to be directed back to the small cylinder. At this point, the force on the fluids in the smaller cylinder creates even more force when it is pushed back into the master cylinder. It’s this extremely high force that brings the punch in contact with the die and accomplishes whatever press operation is being performed. To use a hydraulic press, you must employ an operator that feeds or places stock on the bottom die. Said operator must make sure the stock is properly positioned, then activate the press cycle by pressing the pressure control switch. When the part is done, the operator must safely remove it. Hydraulic presses are simple and do not have many moving parts. In addition, they are globally available and easy to access. For these reasons, they are inexpensive to purchase and easy maintain. If a hydraulic press part breaks down or becomes ineffective at any time, it will be easy to replace and you won’t have to uninstall or disassemble the machine. Hydraulic presses are designed to work well no matter what. For example, if a press is designed to exert 200 tons of pressure, then it will do so, even if you make a mistake in setting up. Likewise, you would have to try very hard to overload it, because hydraulic presses are designed to open their relief valve when they reach their set pressure limit. It’s also easy to control and adjust press settings, per your requirements. For example, when needed, you can change: ram force, pressure dwell duration, press direction, press speed and the release of force. Hydraulic presses are refreshingly quiet. They are free from the noise made by moving parts and flying wheels. When equipped with a properly mounted pumping unit, hydraulic presses exceed current US standard noise regulations. Many presses can only deliver the full force of their power from the bottom. This is not the case with hydraulic presses. Instead, they can deliver a full power press stroke from any point. This saves users from having to buy extra presses to deliver force throughout the stroke. This is especially helpful during drawing operations. Finally, thanks to their built-in overload protection, hydraulic press machine tools last much longer than tools used with other press machines. In addition, auxiliary equipment used with hydraulic presses lasts a long time because it is not subject to heavy vibration, shock or impact. When designing a hydraulic press, manufacturers choose specifics like: material design, load limits and configuration based on your application requirements. Usually, manufacturers design hydraulic presses with stainless steel parts, since they are strong, durable, corrosion resistant and abrasion resistant. They may also use other high strength materials, such as other steel alloys, brass and aluminum. 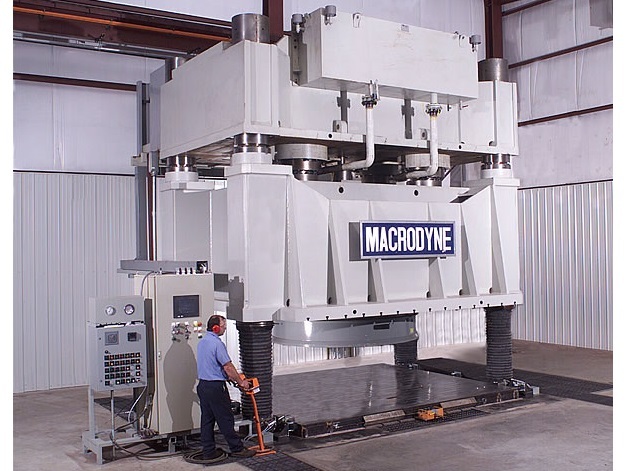 Hydraulic press manufacturers exert a lot of control over press ton handling limits and are able to custom design presses to handle virtually any ton load, from just one ton to upwards of 10,000 tons. As far as configurations go, manufacturers usually choose from single and multi-station configurations. Single station presses feature a single set of press tools (a die and a punch) inside of a table. Multi-station presses, on the other hand, consist of multiple sets of press machine tools. These may perform the same operation on different materials, or they may perform multiple press operations from different stages. Hydraulic press manufacturers can also customize your press by: altering the die shape, changing the hydraulic fluid type, increasing or decreasing folding down to the mm and increasing or decreasing the length down to the mm, among other possibilities. Depending on your application type, industry and location, there will be different standards to which your press must adhere. In the USA, OSHA standards are of great importance. OSHA is a governmental agency that deals in worker safety standards. OSHA gleans many of its recommendations from another standards organization, ANSI (American National Standards Institute). We recommend finding a manufacturer that will base their construction standards on those from ANSI as well. As always, international groups, like ISO, put out standards as well. If you are requesting parts or products made for the military, those must meet Mil-Spec requirements. Likewise, for food or medical use, you must have a product that meets FDA standards or a press that can meet FDA standards. For more information on the standards your application must meet, talk to your industry leaders. 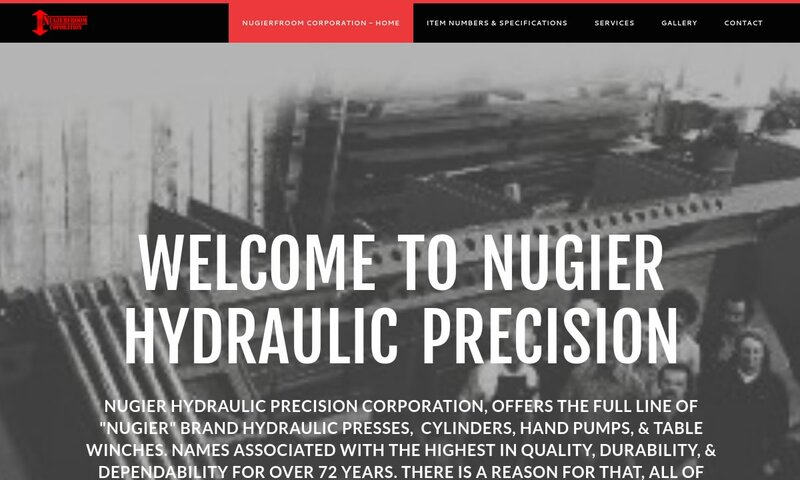 To find a hydraulic provider you can trust, check out those we have detailed on this site. 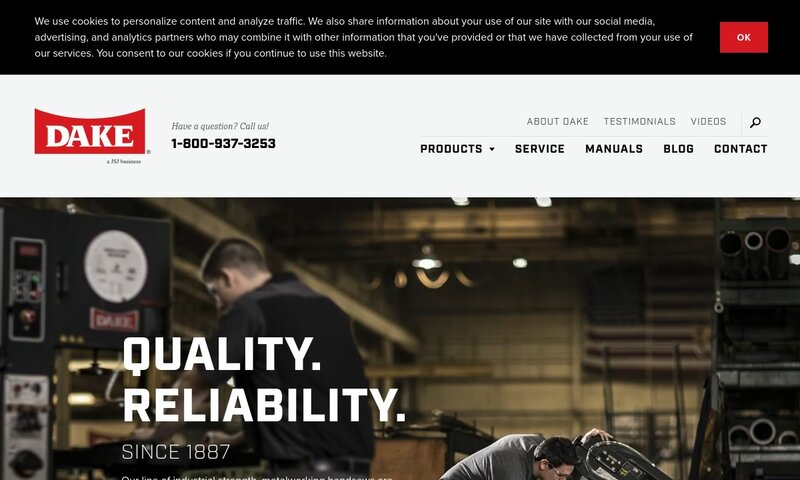 We’ve gathered up a list of manufacturers with proven track records for high quality service. Each has something different to offer. We recommend that you take some time and peruse the profiles that we have created for each of them. Keeping your specifications in mind, pick out three or four you think might be able to best serve you. Then, reach out to each of them with your requirements, questions and concerns. Once you’ve done that, compare and contrast your conversations. Choose the manufacturer you feel will best fulfill your requirements, and get started.